Morzine is a small town located 1000 metres high into the French Alps with pistes rising up to 2466 metres. To give you some idea of how high this is, Mont Blanc (highest mountain in the Alps) measures at 4810 metres above sea level. 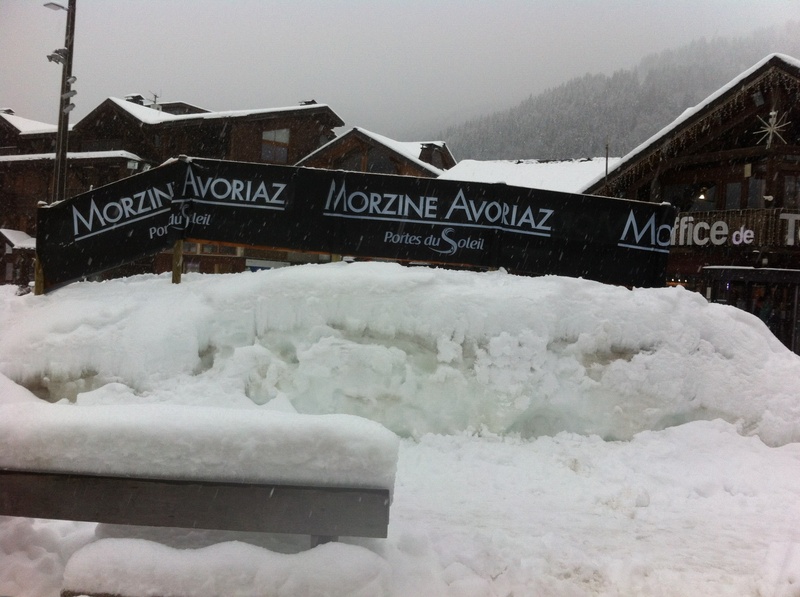 In fact it is possible to get to the “white mountain” from guided tours from Morzine. The highest mountain in Northern Ireland is Slieve Donard with an altitude of 853 metres and located within the Moune Mountains. The highest mountain on the Island of Ireland is Carrauntoohil at 1038 metres, although these mounatins are not for skiing and used for hiking. The highest mountain in the United Kingdom is Ben Nevis which sits at 1,345 metres and is located in the Scottish highlands. Morzine / Les Gets Ski pistes. Portes du Soleil. In 1934 the construction of Telepherique Le Pleney cable car (2nd constructed in France) opened to the general public although originally it was used for mountain walkers. Over the next few decades Skiing became more popular with people becoming more daring so higher and steeper slopes started getting more thought out. 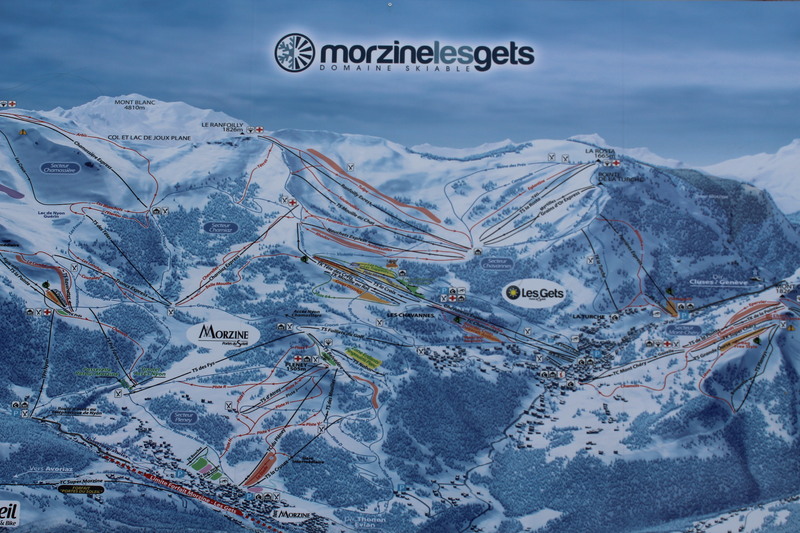 The above picture displays the various pistes across the Morzine & Les Gets area. ~ Morzine Avoriaz ~ Portes du Soleil. Jan~19. 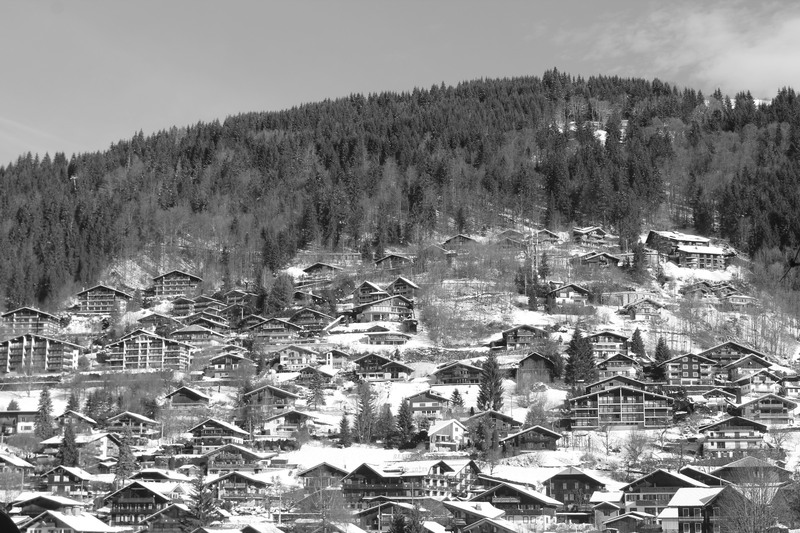 Morzine Avoiraz became a double identity after 1960 when Jean Vuarnet won the 1960 Winter Olympics for the downhill Ski. Jean was asked by Morzine to help develop the Skiing resort. Thanks to the collaboration with Champery and Les Crosets in Switzerland, the Portes du Soleil was formed and gave Morzine its double identity: Morzine Avoriaz. There is a plaque dedicated to Jean Vuarnet in the town. Snow Problem! On Arrival 12.01.19 – 19.01.19 ~ Le Hotel Tremplin, Morzine. France. Le Hotel Tremplin is a family run third generation hotel. It has been open for business since 1936. It is a neat hotel, fantastic location for skiing, good views of the alps, nice food, the most pleasant and helpful staff and hosts a colourful spacious indoor & outdoor setting for all guests to enjoy. All types of guests lodge here from Families, couples, skiers & snowboarders to solo travellers. 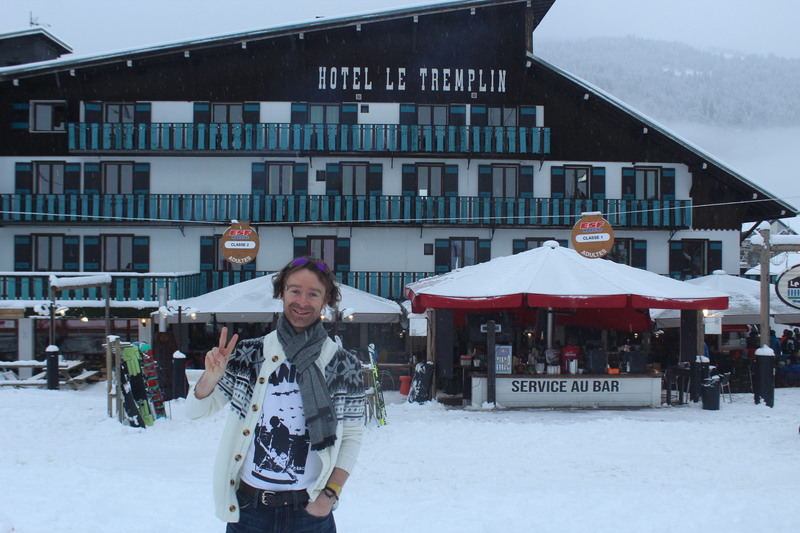 Le Hotel Tremplin is a perfect resort for Apres Ski. Le Tremplin hotel can tailor for all types of moods, if you want a party style holiday there is an vibrant outside bar with live music playing everyday just yards away from the restaurant. If you decide you want to relax in a comfortable lounge area with a drink, perfect for watching sports, playing a game of chess or pool, read a book or simply play the house piano, this is the zone for you. There is also weekly yoga classes which take place here. 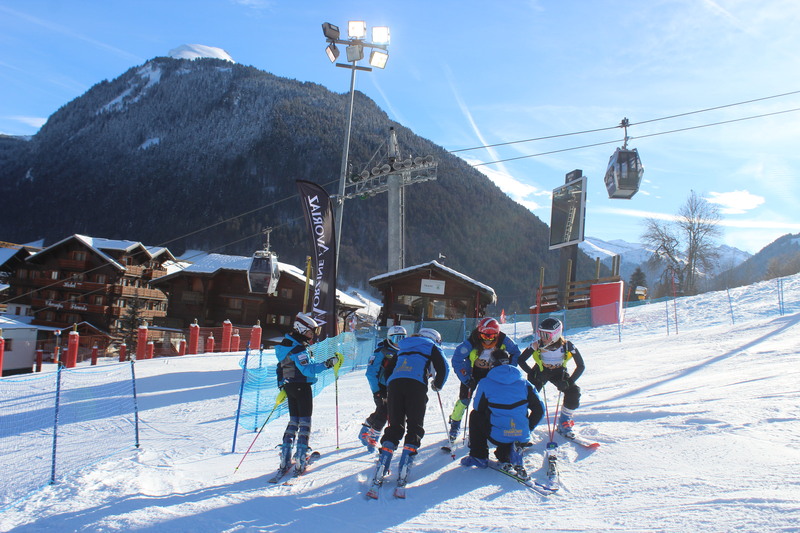 Ski Teams, Cable Cars & Mountain Peaks. Last time I skied was twenty years ago with friends on a school trip to the Italian ski resort Courmayeur. It was awesome then and I felt I had to re-visit this winter hobby at some stage. 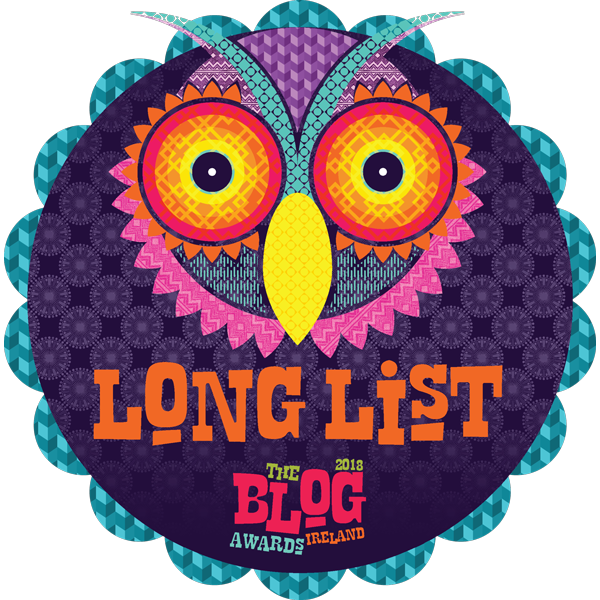 A few years passed where I didn’t get the chance but this year I took the opportunity. I have learnt I am still freaked at heights though I did personally challenge myself, technique and co-ordination regarding parallel ski could be better but I did get a real fluency, flow and motional run many times down a blue slope which felt good while looking at the stunning scenic french alps. It was worth it for those moments alone. There are many times when attempting this sport where you land face first in the snow with your skies flying in opposite directions but it’s all part of the fun. The message is, If you don’t fall, your not trying. 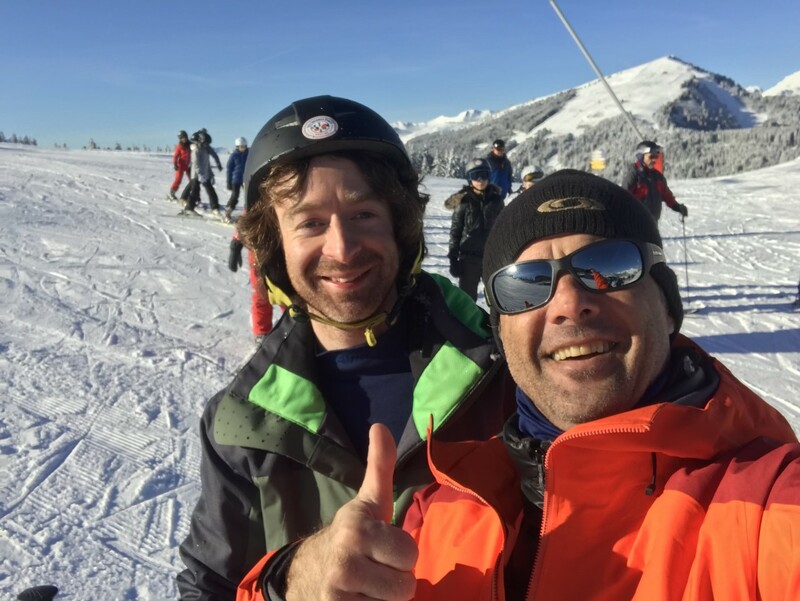 Skiing on the Ski du Pleney, French Alps with Oliver, French Ski Instructor. Jan~19.